When the Iraqi president, Saddam Hussein invaded Kuwait (2 August 1990), a next door neighbor which had enormous reserves of oil, the powers of world arose and told him he must withdraw. He defied these powers and ended up losing his army, his economy, his pride, his rule, and eventually his life. On the day of the invasion of Kuwait, Uranus opposed his natal Sun (he and his family members gave his date of birth as April 28, 1937; I am using the 5:00 pm chart as that is what a family member said the time of his birth was; born into a humble shepard family, it is doubtful that there was someone sitting there with a timepiece to record the time of birth, so that date cannot be taken too seriously, unless further researched, proven), and the planet Jupiter by transit made the 180° aspect to natal Jupiter (he was at the full phase of a Jupiter cycle). Saddam Hussein chart. Click to view larger image. In the Saddam Hussein horoscope what we find is typical of the Pluto/Jupiter opposition, if its energies have been “misused”. This opposition can represent a time of “falling apart”. In this case it was a notion of freedom, of expansion that was falling apart. If group energies have been used ethically, and if due preparation has been made, if experience has been absorbed, judged and learned from, this aspect can represent a successful culmination of group efforts. When viewed from a world historical level, Saddam Hussein simply experienced a balancing of collective karmic forces, a reaping of what he had sowed. Another influence was even more powerful. Regardless of the time he was born, or even if he was born a day later or before, there is the Jupiter opposition Pluto, Jupiter at 26°52΄ Capricorn, and Pluto at 26°34΄ Cancer. At 18 minutes off exact, or partile, this was the closest major aspect in his chart: It determined his whole life. Saddam had a grand trine that involved many of the planets in his chart. It gave him gifts. It helped him to become a brilliant student; it got him through three years of law school before he dropped out to join the Baathist revolution. It is what supported him as a secondary school teacher for several years. And later it gave him the vision to see things that others couldn’t, to make connections others were incapable of making, to instinctively understand the steps to effectiveness, to get things done; it conferred upon him ability, in the classic sense of Livy and Machiavelli and Francis Bacon. Saddam was not an all-bad person, especially in his earlier years. 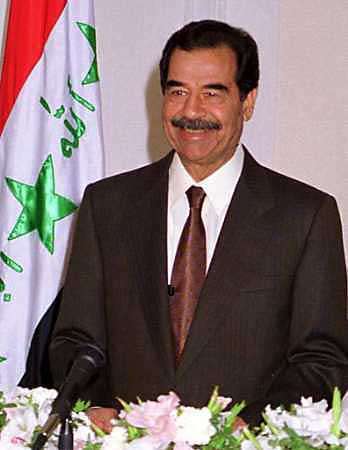 In fact, he showered many benefits on the Iraqi people. He brought electricity to rural areas; he introduced universal education to Iraq, including education for women; he built hospitals and expanded public health. His grand trine showed him instinctively how to unite all the tribes and other factions together into a generally harmonious whole, something few leaders could have done; it conferred on him the gift of understanding how to run government, which he designed and built for Iraq. His teacher was Stalin (who also had a similar grand trine); Saddam’s library was filled with biographies and histories of Stalin, and writings by Stalin. He pursued a similar course to Stalin’s: the long apprenticeship, the slow rise to power, maneuvering for the position of being that person who would appoint others to office, thus developing loyal followings and pushing away from the levers of power those who might oppose you, then the final taking of power on 16 July 1979 as President of Iraq. A few days after becoming president, he purged the Baath Party of potential competitors in the same way Stalin, in the 1930’s, purged the Communist Party of the Soviet Union and the army: Most were put to death; some were allowed to live in prisons or work camps. Saddam controlled the population with unending state propaganda and with a vicious secret police. 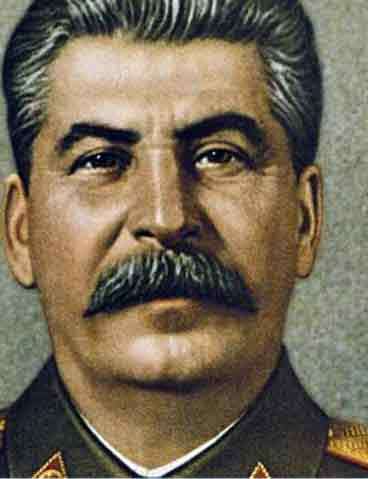 He was a socialist and governed as a Stalinist. A lot of that oil money that he had access to (after nationalizing the oil companies in 1972) went to give the people public schools, public health, roads and infrastructure, electric power in new rural locations, and many other benefits. He was not all bad. The tool he used to employ all those gifts of the grand trine, the drive to make it effective, was a bisecting Jupiter/Pluto opposition, his strongest aspect. It is what made him the Iron Horse, the strong man of his nation. It gave him luck against his enemies. It allowed him to destroy every one of his competitors for power in Iraq, and it gave him the power to carry out all the reforms of Iraq that he must be given credit for. It is the tool with which he did everything. 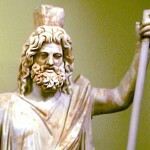 There are always problems with Jupiter/Pluto: A sword like this can be dulled by hubris, by arrogance. Its luck gives so much power, that when these two outer planets dance together closely, its possessor can develop an inflated ego, can begin to believe things that are not there, and begins to cherish grandiose illusions. King David, when confronted by the prophet Nathan about his crimes of power, said, “I have sinned before the Lord.” That is the kind of humility and brokenness Plutonian power requires; it is the sine qua non of holding long-term power. Saddam never reached this level of Plutonian energy. Saddam was confronted by another difficulty, the Dragon. Saddam first grew to know the Dragon on a day-to-day basis in the Iran/Iraq war. The Dragon had been stung by Iran, and it supplied him treasure and wealth, and encouraged other states in the region to supply more treasure and more wealth to prosecute that war. That war did not go well for Saddam: ten years of fighting, at least half a million Iraqis dead, and at its end, a stalemate. What was clear was that Saddam for all his talk was not very good at war. Perhaps, being the strong man at the top and vigilant for any who would challenge his power, he could never trust effective generals. Always a problem with tyrants and princes. Stalin had control of his tigers, his Konievs, his Zhukovs; Saddam could not follow him there. Some leaders intuitively get that Dragons are deadly, that they need to be treated with absolute respect, and honesty, and friendship. In ancient times, during the Second Carthaginian war with Rome, Hiero II (308 – 215 B.C. ), and a cousin of of the Greek scientist, Archimedes. He was the ruler of Syracuse, a civilized and prosperous and cultured city-state remained throughout his decades of rule friendly and respectful to the Dragon of that era, Republican Rome (that is, for 48 years). And the Dragon replied with friendship and respect, and Syracuse prospered. Hiero II understood that you do not win against the Dragon, no matter how powerful your defenses may be. It is too big and too powerful. It can fight better than you; it has more wealth to fight with; there is no way you can mortally wound it, and it will never stop fighting you until you are destroyed. When his heirs inherited Syracuse, this law was forgotten. They challenged the Dragon and the Renaissance-like greatness of that city was destroyed. On August 2, 1990 Saddam’s armies invaded Kuwait, an oil-rich nation with a tiny population just to the south of Iraq, just to the north of Saudi Arabia. Transiting Jupiter was conjunct Saddam’s Pluto by 5 minutes. It seemed good at the time. Yet that Pluto at 26° Cancer was getting ready to destroy his life. The problem is the Dragon’s Pluto was and is located at 27°33΄ Capricorn (1776 chart), also within one degree of opposition to Saddam’s natal Pluto. A bright red fire glowed in the Dragon’s eyes, its tail twitched, it quietly said, “This will not stand.” Then Saddam mocked the Dragon. The Dragon’s eyes grew redder and brighter. We now move to Jan. 16, 1991. All the UN stuff has been voted on, all the allies have gathered. War begins. Saturn, one of the two karmic planets, that day by transit located at 27° 26΄ of Capricorn, is doing some interesting things. It is conjunct the natal Pluto of the Dragon, right down to the degree and minute. It is also still conjoining within 1° Saddam’s natal Pluto/Jupiter opposition (opposed his Pluto, conjunct his natal Jupiter, taking away all its good luck). He begins to taste the descent of Pluto. A roaring fire pours out of the Dragon’s mouth. Within nine weeks his army is ruined, and Iraq essentially surrendered and agreed to inspections and a permanent diminishment of its power and of its wealth. Then the Dragon yawned. It flew back to its cozy wetlands marsh and went to sleep. Saddam in his arrogance mistook the Dragon’s boredom for fear. A deadly mistake. Ten years later, the Saturn/Pluto lance of 911, launched with cunning and courage, pierced the hide of the Dragon. It woke up and roared. Among other things, it recalled that it had been tormented and mocked by Saddam, and that every intelligence agency on the planet, including its own, was telling it that Iraq possessed in its arsenal weapons of mass destruction (not correct, but Saddam, using all the cleverness of his grand trine, worked at making the world believe it was so), and that Saddam was providing moneys and weapons and basing to terrorist organizations (quite true), and that this annoying conflict called the No Fly War had been going on for years (true, and a major consideration), and it was time to do something about Saddam. Invasion occurs on March 20, 2003, right on the Vernal Equinox, the Days of Aries, when so many wars are begun or flare up anew. The Dragon was now wide awake, and fire roared out of its mouth. A few twitches of its tail and 19 days later it sits atop Baghdad. By the last week of April, karmic Saturn, the timer, at 25° 34΄ Gemini has moved into a one degree aspect with Saddam’s Jupiter/Pluto (inconjunct his natal Pluto), and in most of May that aspect was exact. By this time Saddam’s army is disbanded, all the institutions of government he laboriously constructed over several decades are destroyed, the Baathist Party is outlawed, his statues are being toppled by a jubilant populace everywhere, and he himself is being pursued by Delta Forces and brigade combat teams. He eludes them with cleverness and brilliance for eight months, until he doesn’t, and he is captured, lice infested, in a dirt hole, on Dec. 13, 2003. Pluto is at 19° Sagittarius all this year. By the time transiting Pluto reaches 26°57΄ Sagittarius on December 30, 2006, and it is exactly inconjunct his natal Pluto. He has already had his trial, received his sentence of death, and so on that day he is executed by hanging. His days and years rose and fell on that 26° Pluto/Jupiter.